A fight for control of the Starwood hotel chain is under way following a $14 billion buyout offer Monday from a consortium led by China's Anbang Insurance Group. NEW YORK (AP) — A fight for control of the Starwood hotel chain is under way following a $14 billion buyout offer Monday from a consortium led by China's Anbang Insurance Group. Anbang, which remains largely unknown to most Americans, has quickly positioned itself to become a player in the U.S. hotel industry, acquiring marquee properties. It made a splash in the fall of 2014 when it bought New York's Waldorf Astoria for almost $2 billion. And just days ago, it cut a $6.5 billion deal for Strategic Hotels & Resorts Inc., which owns tony properties like The Westin St. Francis in San Francisco, JW Marriott Essex House in New York and Hotel Del Coronado in San Diego. Strategic also owned five different Four Seasons hotels, two Ritz Carltons and six other luxury properties. 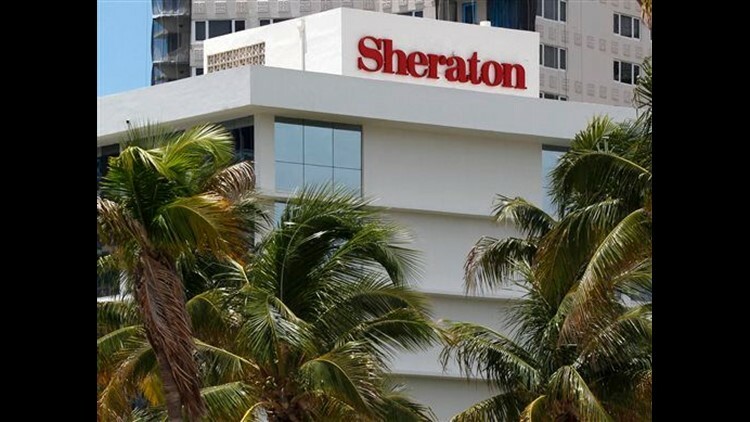 Now it is going toe-to-toe with U.S. hotel giant Marriott International Inc., which said late last year that it would buy Starwood, the owner of Sheraton, Westin and St. Regis hotels, in a deal worth $12.2 billion. That acquisition would create the world's largest hotel chain with 5,500 properties and more than 1.1 million rooms around the world. Such scale would give the combined company pricing power when negotiating commissions with online travel agencies such as Expedia and Priceline, as well as help it land more corporate travel contracts. The next-largest hotel company is Hilton Worldwide with 4,500 properties and about 735,000 rooms. Marriott and Starwood — like other hotel chains — own very few individual hotels. Instead they manage or franchise their brands to hundreds of individual owners, often real estate development companies. Those individual hotel owners are responsible for setting nightly room rates. It isn't uncommon for a developer to own a Marriott, Hilton, Hyatt and Sheraton in the same city. That's how Strategic, for instance, owned hotels under the Westin, JW Marriott, Ritz Carlton, Four Seasons and InterContinental brands. Starwood Hotels & Resorts Worldwide Inc. said Monday that it still favors the Marriott deal, but that it's looking at the latest bid. Company shares jumped almost 7 percent to a new high for the year. The offer from the Chinese group includes $76 per Starwood share and Interval Leisure Group stock currently valued at about $5.50 per Starwood share. Starwood said that there are still "a number of matters" that need to be worked out in the group's proposal. Asian companies have been acquiring U.S. properties because it is a relatively safe place to park money, particularly with signs of slowing economic growth in China. Marriott, based in Bethesda, Maryland, said Monday that it stands behind its offer. Shareholders of Marriott and Starwood are expected to vote on that deal on March 28. If Starwood ends its agreement with Marriott or changes or withdraws its recommendation for shareholders to vote in favor of the Marriott transaction, Starwood would have to pay a $400 million termination fee. Starwood essentially put itself up for sale last April. The company has struggled to grow as fast as its rivals, particularly in "limited service hotels," smaller properties which don't have restaurants or banquet halls. They are often located on the side of the highway, near airports or in suburban office parks. The deal with Marriott would help fill in many of those blank spots on the map where Marriott often has its Courtyard and Fairfield Inn brands. However, outside the U.S. Starwood has been very active in growing its brand, especially in luxury hotels and in untapped markets such as China, India and the Middle East. For instance, after New York, the city with the most Starwood hotels is Dubai. The deal making comes as the U.S. hotel industry comes off its best year in history. The percent of hotel rooms occupied and the average night room rate were both at all-time highs in 2015. Right after Starwood and Marriott announced plans to merge, French hotel chain Accor announced in December that it was buying the parent company of the Fairmont, Raffles and Swissotel hotel brands for $2.9 billion. Starwood, based in Stamford, Connecticut, has almost 1,300 properties in about 100 countries. Its shares jumped more than 7 percent in Monday before the opening bell.